Real sports news and stories, real talk. What If the Yanks kept Soriano? Another interesting number when comparing the production of these two players is the location in the batting order that they produced these numbers in. In A-Rod’s career (throughout the whole span) he has hit in the 3-4 spot 71.85% compared to Soriano who has hit there 21.17%, but has batted in the lead-off spot 41.21% of his career. Think about the numbers Soriano put up for the Rangers, Nationals and Cubs when they were all last place teams and hitting lead-off almost half the time along with being moved around the line-up. Now think about what he could have produced if he was hitting anywhere in the Yankees lineup from 2004-2012. Soriano came up and was a speed demon with power in the lead-off spot and his speed went underutilized after 2008 with the Cubs, which is head-scratching. 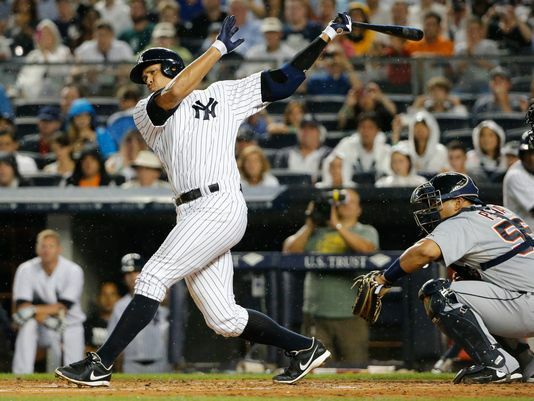 A-Rod’s speed was also an asset of his but he was more known for his pure power and great contact. What’s shocking is how close the home run numbers are over the past 9 years since they were traded. Let’s also not forget to factor in the proven notion that Yankee Stadium is a launching pad, and who knows what Soriano could have done here. Now listen I’m not saying we would have or would have won the 2009 World Series without A-Rod and the actually clutch performance he put on throughout that postseason. 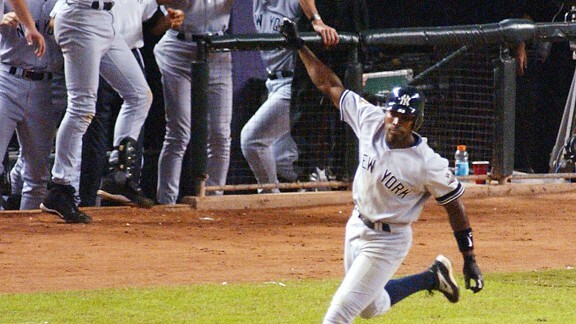 But the headaches, the drama and the disappointment that has followed ever since trading for A-Rod in the 2004 season. We reached two world series when we had Soriano and only one since we’ve acquired A-Rod. Let’s take a look at this financially speaking too now. Since being traded to Texas, Alfonso Soriano has averaged a $13.322 million salary per year, with most of that money coming after 2008 in a bad contract offered by the once “spend-happy” Chicago Cubs. Now in the other pocket, we have the worst contract in baseball history. A-Rod’s contract since 2004 has averaged over $27.555 million, helping the Yankees break the luxury tax threshold by milestones. Consider the fact that there would have been more money for the Yankees to spend on other superstars and stay around that total salary number they hovered around for years during the early 2000s, but adding another player rather than spending it on one guy. Hindsight is always 20/20, and call me crazy but I would have kept Soriano and built from there if I were the Yankees going back. There are some things that would have been changed guaranteed: less headaches, less insults, less boos and less scrutiny. We can’t go back, but now the Yanks seem to be in somewhat of a rebuilding mode after mistakes made in years past. Tell me what your thoughts are on this! Ryan Callahan traded, Who steps up as captain of the Rangers? Week 16: Fantasy Football Superbowl!!! Week 15: Punch Your Tickets if You Can!